Organizers: The conference is organized by the Central Institute for the Union Catalogue of Italian Libraries (ICCU), the National Central Library of Rome and the Institute for the History of the Italian Risorgimento of the Central Museum of the Risorgimento. Audience: libraries, archives, museums, cultural institutions, researchers, but also students and citizens interested in the topic of the First World War. Translation: Translation will be made available from English to Italian and Italian to English. The Europeana Collections 1914-1918 project allows to make available in the Europeana portal http://www.europeana.eu/ more than 400.000 digital objects of rare documents and materials selected among the most important Institutions of eight European countries. ICCU supplied the project with the rich collections of documents, graphics and other materials available on the website http://www.14-18.it/. 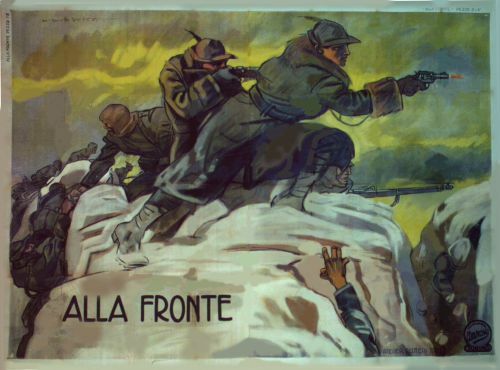 This website is the result of the national project 14-18 Documenti e immagini della Grande Guerra, the most important Italian documentary collections’ database on the First World War, constantly increased. It contains digital documents owned by: the History of Italian Risorgimento Institute under the Central Museum of Risorgimento, the Modern and Contemporary History Library, the Central National Library of Rome and the University Alessandrina Library. 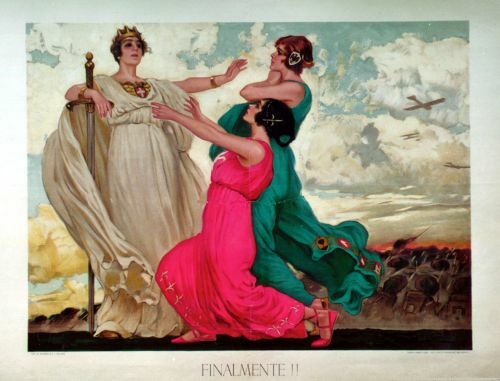 The Central National Library of Rome and the Central National Library of Florence are the further Italian Partners of the Europeana Collections 1914-1918 project and have increased Europeana with significant rare documents selected within their rich collections. The participation of these Institutions provides a relevant contribution of Italian supply of collections on the First World War. As 2014 marks the commemoration of the outbreak of the First World War, ICCU, in order to collaborate in the commemoration events, signed the Agreement with The Structure of mission for centenary commemorations of the First World War (Struttura di missione per la Commemorazione del Centenario della Prima Guerra Mondiale), within the Historical-Scientific Committee for the anniversaries of national interest (Comitato storico scientifico per gli anniversari di interesse nazionale) under the aegis of the Presidency of the Council of Ministers. La Fabbrica comunication, education&marketing s.r.l. The conference The First World War in National and European collections: materials, images, testimonies will highlight the results of “Europeana Collections 1914-1918” project, making known the richness of National and European collections, strengthening the process of consolidation of a common European identity. The event is also an important contribution to the Italian Centenary Commemorations of First World War.